Of all the comments on Mo Salah going down too easily, this one is easily the most ridiculous. 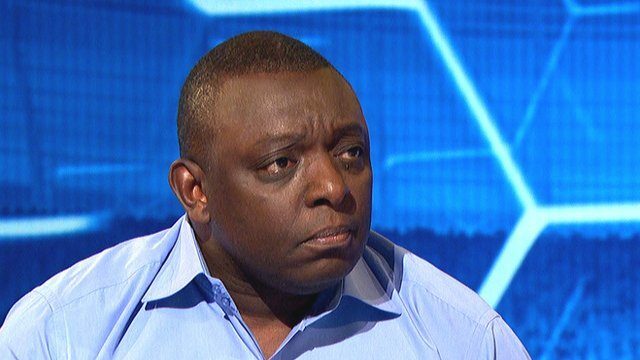 BBC pundit Garth Crooks has had the audacity to label the Egyptian ‘grotesque’. Has our no.11 broken someone’s leg? Spat at an opponent? Been caught saying something racist? No… He’s just gone down after feeling contact in the box. ‘Mo Salah is breaking my heart. Why would such a wonderful player do something so grotesque?’ Crooks began. ‘He went down in the penalty area as though he had been poleaxed. Crystal Palace skipper Luka Milivojevic told the Egypt international what he thought of the charade in no uncertain terms, and quite rightly. This was before the Liverpool striker sent the Eagles back to Selhurst Park having had their wings severely clipped. We wonder if Crooks called Harry Kane a similar term after one of the Englishman’s far more blatant dives this season? The thing that winds us up most about the Salah diving saga – entirely created by opposition fans that has now made it into mainstream media – is that most of them are genuine fouls! For over 18 months at Anfield, Liverpool didn’t get a spot-kick in the Premier League, so can you blame Salah for making sure he’s awarded it after a defender fouls him? We don’t think Mo is perfect, and accept he’s dived on a few occasions – but only ever after contact. Why is he treated so differently to others? Probably because he’s a Liverpool player, we’re very good right now and nobody else likes it.